I love to save money whenever I get the chance. I think that’s one thing we all have in common, right? Awhile back I found that paying face value for stamps from the post office was a bad idea. I discovered something called discount postage, which is a great way to pay under face value for stamps that are worth face value! By using discount postage, I’m only paying about $0.36 to mail a letter, instead of $0.47. In all, I have saved about $50 thanks to discount postage. How is this possible? Allow me to explain…. Let’s say someone – we’ll call him Mr. Collector – bought a bunch of stamps from the post office, and added them to his collection. Years later, he chose to sell the collection to Ms. Dealer. Ms. Dealer sorted through the collection, and only kept the valuable stamps. The left-over stamps were all common, and not worth keeping as collectibles. However, they were still good for sending letters in the mail. Ms. Dealer kept some of the left-over stamps for herself, and decided to sell the rest for under face value. Ms. Dealer can do this, because the collection was actually worth more than what she paid for it. In fact, this is a very common occurrence in the stamp collecting world. As a seasoned buyer, I’ve picked up a few tips when it comes to purchasing discount postage. 1. First and foremost, make sure the stamps you buy were issued by your country. It would be kinda useless to purchase United States stamps if you’re in Canada…. 2. Buy standard First Class stamps. Don’t purchase anything like Presorted First Class unless you have a special permit to use precanceled or service inscribed stamps. Don’t worry too much about this, just be sure to read the entire product description before purchasing. 3. Look for the best discount. Some dealers will offer stamps at a 10% discount while others as much as 30%. 4. Purchase combo lots. It can be a pain using 5-10 low-denomination stamps on each letter I send out, and combo lots solve this issue. Here’s how they work: stamps are sorted into two piles. One pile contains 34-cent stamps, and the other pile contains 13-cent stamps. 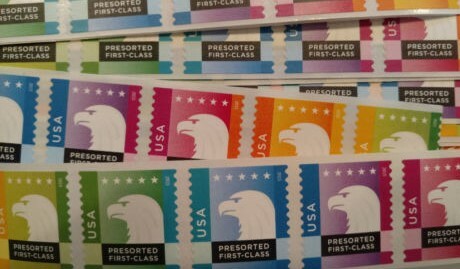 Using one stamp from each pile on your letter will be just enough to cover the current First Class rate. Some combo lots have more than 2 denominations, meaning you’ll have to use 3, or even 4 stamps per letter in order to cover the First Class rate. By the way, discount postage stamps generally aren’t self-adhesive. Some of the newer ones are, but most are not. If you don’t like the idea of “lick and stick”, simply use a sponge or damp paper towel to moisten the stamp’s gum. I always buy discount postage on eBay. It’s quick and easy, and there are multiple sellers to choose from. If you like the idea of a combo lot (I sure do! ), then consider checking out discount postage combo lots on eBay. As you browse through, you’ll notice that some sellers have better deals than others. Of course, go with the best deal you can find. Discount postage is awesome. It’s cheaper than buying stamps from the post office. The stamps are a blast to use, knowing they’re 10-80 years old. But the best thing about discount postage is that it’s discount postage. After all, what’s not to love about saving money when you have the chance? Thanks for reading, and I hope this post was helpful. I’d love to hear your thoughts or answer any questions you may have, so please leave a comment below. I’d be delighted to hear from you! Hey Ian: I never even KNEW this existed! Thanks for the heads-up! It certainly would be a kick to use “historic” stamps on my snail mail. What a cool idea! Surprisingly, most people don’t even know about discount postage, so you’re definitely not alone! Discount postage is awesome because not only are you using “historic” stamps, but you’re saving money at the same time! Wow this is good, especially when I need to send package and letters via mail a lot for myself and my family. This would save me lots of money. Thanks for sharing this with us! It’s very helpful, Ian! This is such great information! I had no idea you could do this. Thank you for the great tips! You’re welcome. I’m glad to have helped! Pretty impressive concept this is. I never thought of stamps as an area to spend less in, but it looks like it works! I always buy stamps at the post office, and now I feel like I’ve been burned. It seems like a small discount at first, but a penny saved is a penny earned, I say. Now I’m interested in applying these tips next time I wanna send mail. Like another comment said, it’s especially appealing to use really old stamps. Thanks for the cool idea Ian! P.S, do you have a favorite stamp, by any chance? Yes, this is definitely an impressive concept that works! Very true about the “a penny saved is a penny earned” thing, and like I said, I have saved over $50 just by using discount postage! Old stamps are very fun to use, and of course fun to receive as well! I like how you have everything laid out so that someone that has no clue about the reasoning of why you can get these stamps at under face value. Easy to read for a customer like myself. I usually have to send out packages once a month so this will be very handy to return to. I’m glad you found this post handy, and thank you for leaving a comment! Well, I was completely surprised by your post! I thought it would be about buying discount stamps for COLLECTING. 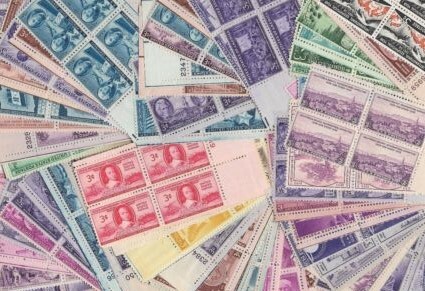 Since, when I was a kid, I sent in a few pennies and received a huge number of stamps in the mail (collectable stamps). Turns out I was supposed to pay more for extra stamps included, but I had no money, and got very upset when I received “dunning” letters from the company, threatening imprisonment! Luckily I decided to ‘fess up to my dad, who wrote a letter to the company saying they had totally fooled and confused an 8 year old kid, and that if they persisted they would be hearing from his lawyer. So, I thought this would be about more opportunities to buy lots of collectible (not necessarily valuable) stamps. But NO! Turns out you can buy US postage for less! I had absolutely no idea this was possible. Your explanation makes it very easy to understand how it IS possible. So thanks! That’s money in the bank for me! Keep collecting, and saving on postage! Sounds like the stamp companies were sending you “stamps on approval”. When I was younger, I got confused about the concept as well! When I found out about discount postage, I was shocked to say the least! I’m happy to be able to share this money-saving opportunity with everyone. Ian, great article, thank you so much. I never would have thought about this, but I will now. Keep up the great work! You’re welcome. You should absolutely give discount postage a go, as there’s nothing to lose and lots to gain! Very interesting. I had no idea you could save so much from postage, it really is the little things in life that end up paying off for you isn’t it? Yes, every little bit adds up to a lot! I first came across discount postage just by browsing stamps on eBay. I jumped at the chance to save money on postage, and have used discount postage ever since. 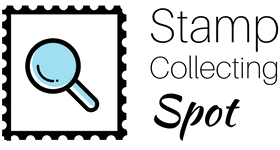 There are actually many stamp collectors within the United States who collect foreign stamps. What you want to avoid is using foreign stamps as postage within the United States. That would be bad.